The most famous part of Prague offers almost an infinite number of historical sites. Charles Bridge, The Old Town Square with its Astronomical Clock or Prague Castle are the most visited ones. 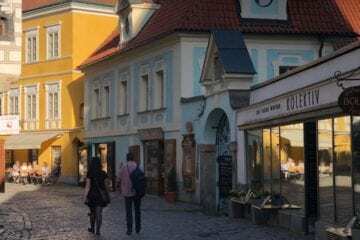 Every tourist walks through Prague’s crooked streets, passing by hundreds of restaurants and cafés. But only a few deserve a visit. 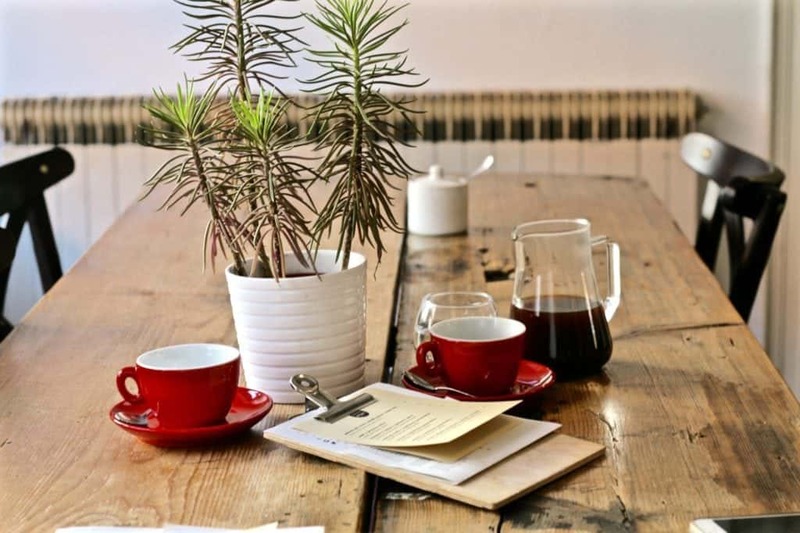 Let us make the hard work for you and select the best speciality coffee places in the heart of Prague. It takes only 17 m² for a place to become THE place. 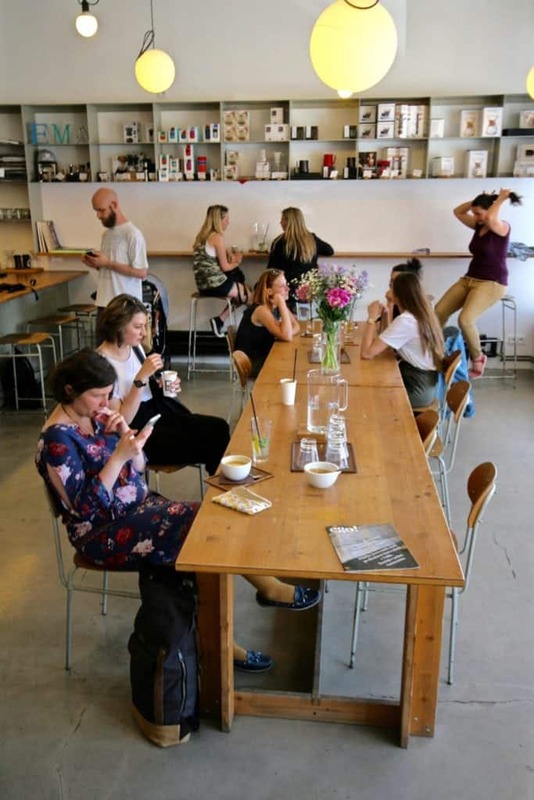 According to the owners, there is no need for a café to be big and spacious if all that matters is coffee. 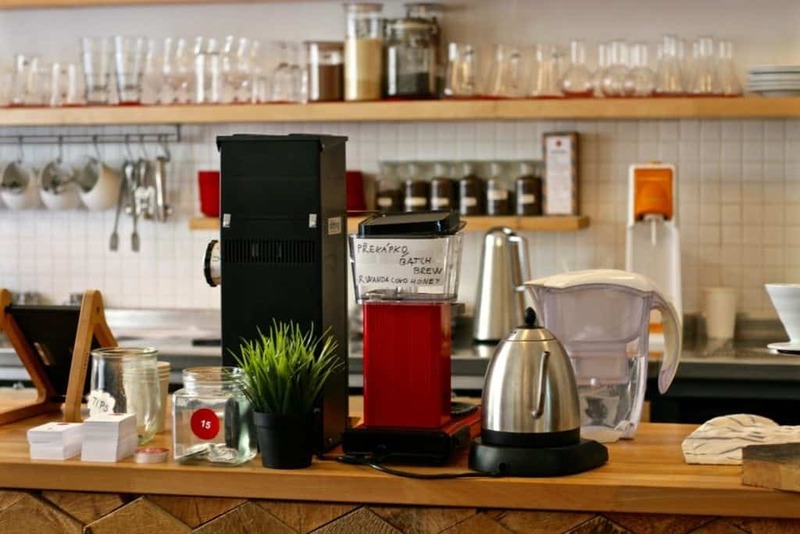 Opened for over a year, Onesip has quickly become one of the top places in Prague. Although there are only four chairs to sit on, nobody minds as everything is compensated by great coffee and equally amazing attitude. Working with the British coffee roastery Round Hill they make the best example of a loyal café which can show the true potential of the roastery's coffee beans. 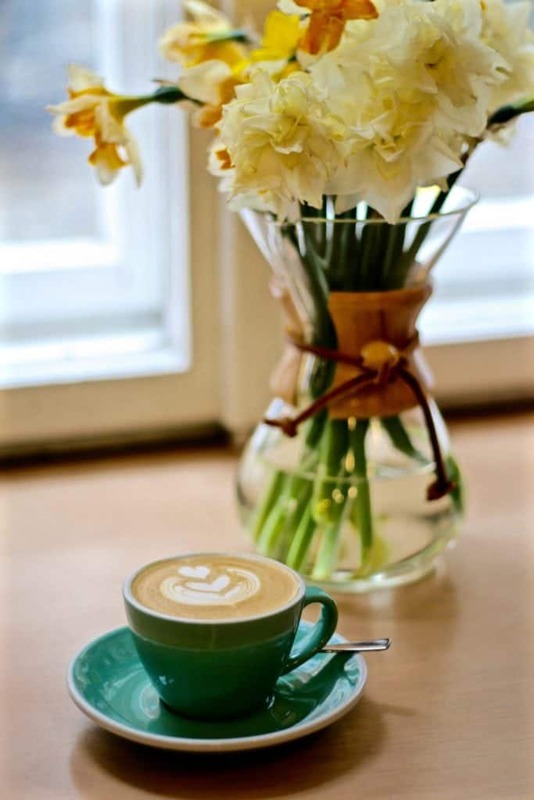 It does not matter whether you prefer an espresso, a cup of cappuccino or any kind of filtered coffee. Everything is perfect. No wonder one of the owners won “the best cappuccino” prize at the 2017 Czech Barista Championship. Unfortunately, we did not get the chance to try the winning cappuccino made with Ethiopian natural processed coffee, though it was supposedly similar to the Brazilian currently in their hoppers, also naturally processed coffee. And that was perfect. Balanced, sweet, with a smooth aftertaste, everything you’d expect from a cappuccino. As long as filtered coffee is what you prefer, you can choose either from hand or batch brewed one. Though the latter seems to be the best option as it’s quick and thus very handy to take away. We had lots of those but one which I can’t get out of my mind was made with fully washed Colombian coffee. Fruity in the first sip, but with a chocolaty aftertaste. What is also worth mentioning, is (my favourite) espresso tonic made not only with these two ingredients but also cascara, which makes it very rich in taste and naturally sweet. Hidden in a maze of buildings and passages, Super Tramp Coffee is worth looking for. No wonder this beautiful space with a large courtyard garden has become local hipster meeting spot. A gramophone, a very industrial look and a few trendy design details are not the only reasons the hipsters have learned to come here. It is the coffee. 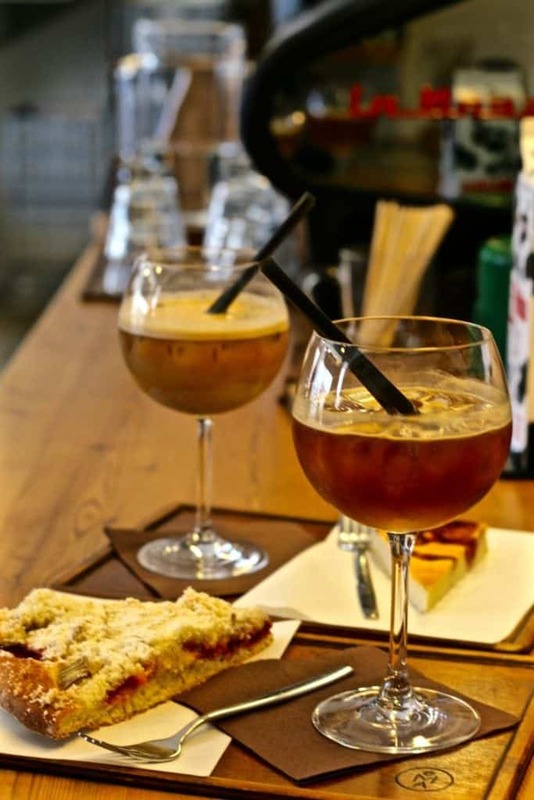 Both espresso based drinks and filter coffee are made with beans from the most famous Hungarian coffee roastery – Casino Mocca. Pioneers in their country, they can easily compete with famous German or British roasters. Double espresso made with Ethiopian coffee was fruity and rich with a gentle touch of acidity in the aftertaste. Plus, it also worked well with milk. As for the filtered coffee, they use only the V60 method, which seems to be a shame as we think some origins would deserve a different method to develop various profiles. The Colombian washed-processed we tried, for example, could shine a bit more with a higher extraction. What on the other hand will not disappoint at all is the food. Fresh sandwiches, cakes, pies – there is always something new to try in every size you can imagine. If visiting during the summer months, try sitting in the garden later in the afternoon with a cup of coffee and a piece of cake for start and continue with a glass of tap beer or local wine. The atmosphere is remarkable. 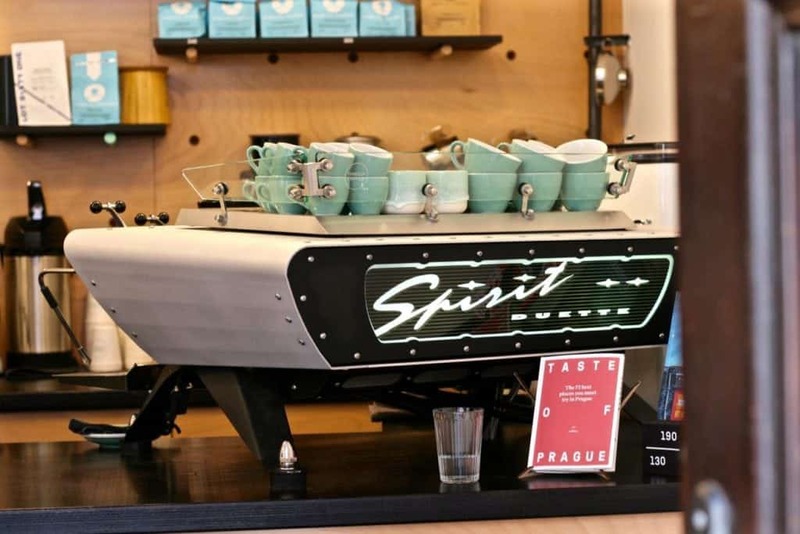 Probably the most famous café in Prague gained its glory thanks to skilled baristas, berlin-style interior with a dominant table in the middle, wooden design features and perfect coffee. A lot of articles praised its balanced espressos, smooth cappuccinos and a huge table where people sit together as if they knew each other. There is no need to mention all of it once again. Thus we decided to try Ema's coffee-based special drinks and food. With funny names as Emanuel, Amalie or Milacek (meaning sweetheart), those summer special drinks are everything but boring. Thus if you are tired of espressos, cappuccinos or V60s, or visiting on a hot day, these drinks are rather refreshing. Let’s start with Milacek. It combines the old version of espresso tonic with fabulous rooibos orange tea from a local tearoom called Tea Mountain. Sweet and bitter combine perfectly. Another one we tried – Amalie – is something for those with a sweet tooth and a love for coffee-and-alcohol drinks. The espresso is combined with almond milk and amaretto. The sweetness that comes through in a sip is completed with the bitterness of the almond amaretto and the smoothness of the almond milk. Together with home-made fruit pies, which make a perfect snack or breakfast, this place earns yet again more points although you have been a million times. It seems there are still some white marks on the Prague coffee map, and Urban Café just managed to fill one up. 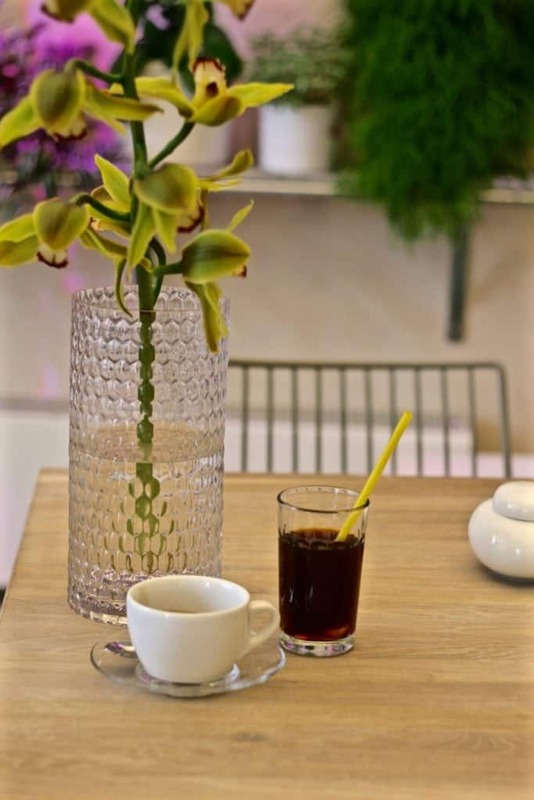 Serving their great coffee in a good location, accompanied by tasty food in a pretty interior made that very easy. 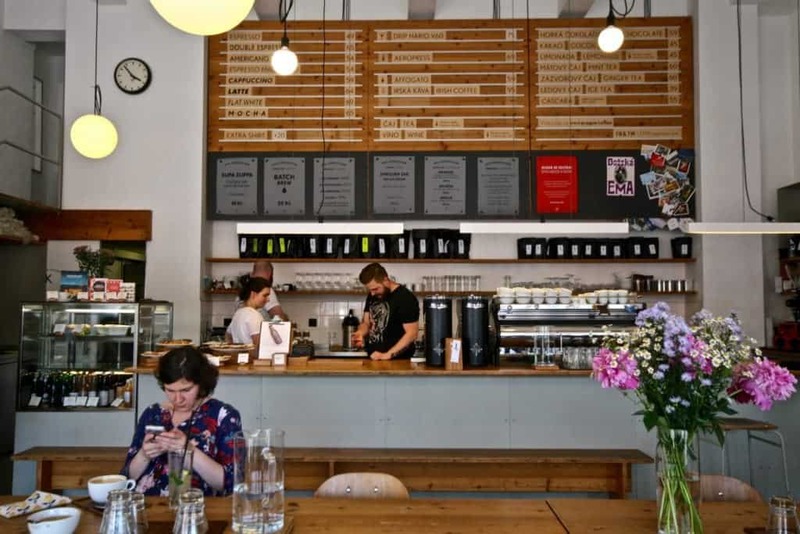 Add some skilled and smiling baristas and a 5-star café is born. The first thing that will catch your attention is what I call the “flower wall”. One of the walls is covered by almost 60 different flowers. With soft purple light among them, it makes you feel as if you were at a botanical garden. Together with a big round mirror on the opposite wall, it makes the place, even lighter, filled with greenery and nature. No wonder everyone feels so calm and relaxed here. Let’s talk about coffee though. For they work especially with the Berlin based roasters Fjord, you can enjoy their coffee both as espresso-based drinks and as a filter. We tried a double espresso brewed with washed Ethiopian coffee, which had a strong—but not too much— acidity with a citric flavour in the aftertaste. Even better with milk, especially as a flat white. We also tried the same coffee as iced V60 to explore its taste in every dimension. The citric acidity remained, plus new, honey-like sweetness appeared. As for the food, you can always find typical Czech cakes or pies on the counter. If you are lucky, they will have their Babovka (Marble cake) ready on the day of your visit. You need to try it as it probably is the best one in town! However, you won’t miss with their carrot cake or a sweet dumpling either. 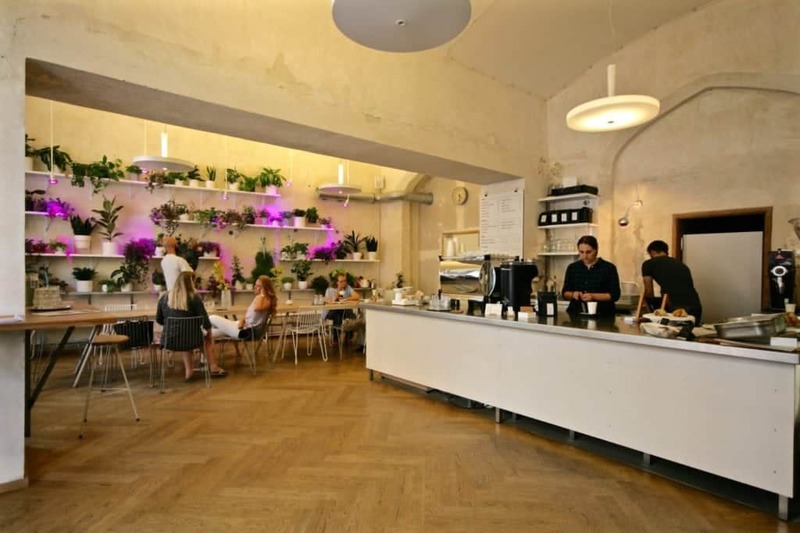 Close to the beautiful Bethlehem Chapel you can find the last café of our list. With an austere interior, you can say right from the beginning that coffee is the most important thing here. Though Original Coffee serves tasty soups, snacks, cakes or cookies too. The coffee they use is from their own roastery, thus you can try several origins made with a wide range of methods. 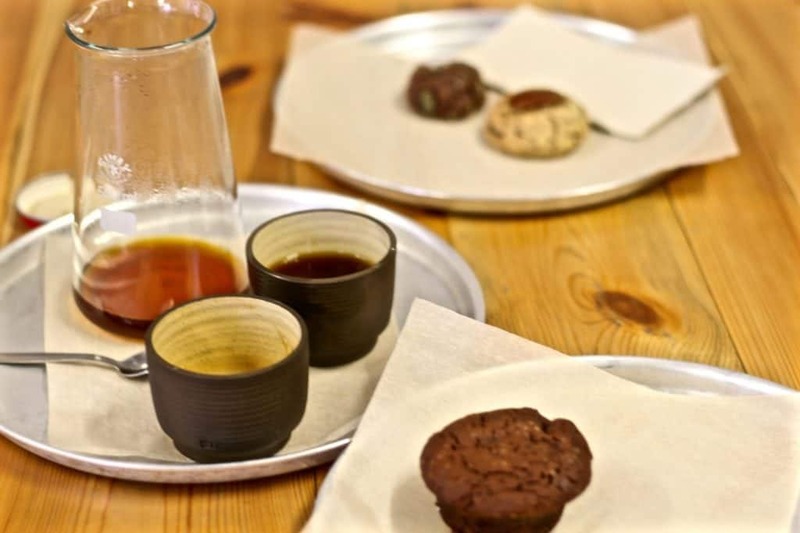 With V60, AeroPress, French press and Chemex, they are amongst the very few cafés in Prague serving more than two brew methods. As it is rather unusual, we tried their natural processed Nicaragua on Chemex using a metal filter. Compared to the paper one, the coffee was denser and almost resembled french press as it also had the typical sediment. Furthermore, it was strong, yet balanced, with nougat flavour. The same coffee showed more nutty fullness in espresso, retaining its nougat flavour. Plus, it surprised us with a strong fruit aftertaste which was not to be found in the filtered coffee. 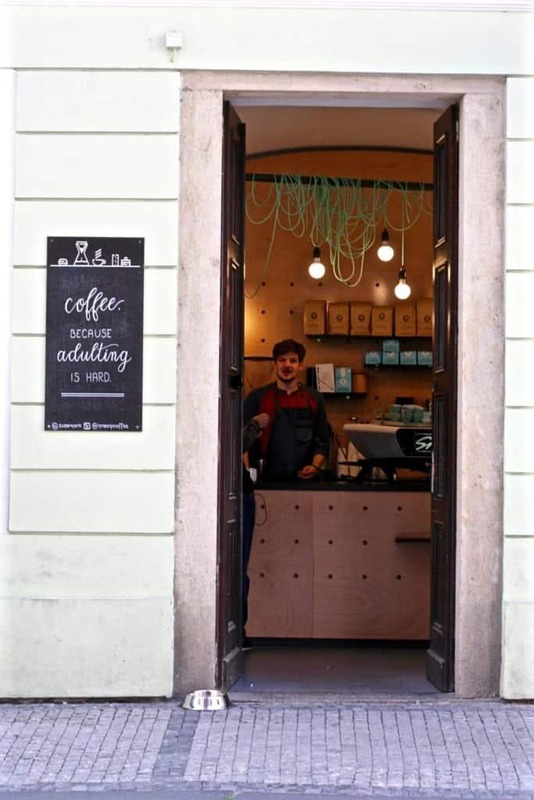 The Prague’s Old Town is a rather small quarter of the capital, yet you can find quite a lot of places with great speciality coffee. 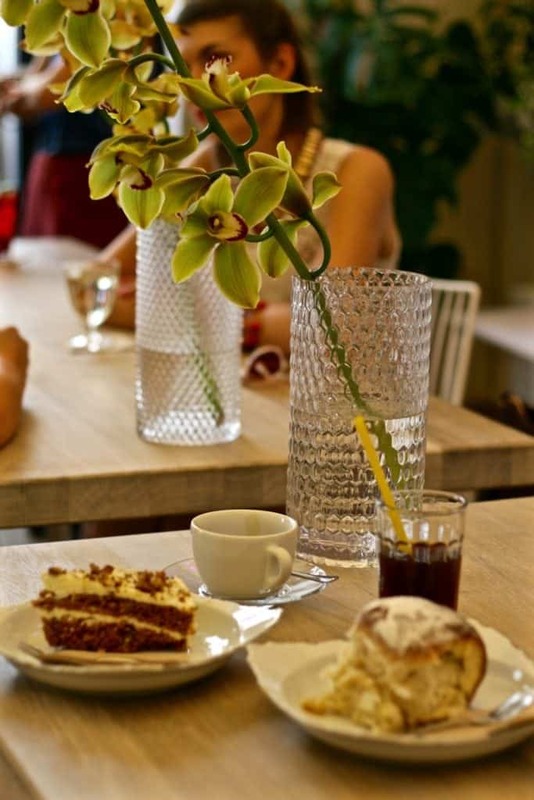 While walking by the Old Town Square, Charles Bridge or Celetna street, don’t forget to find some time for a good cup of coffee and a slice of homemade cake.